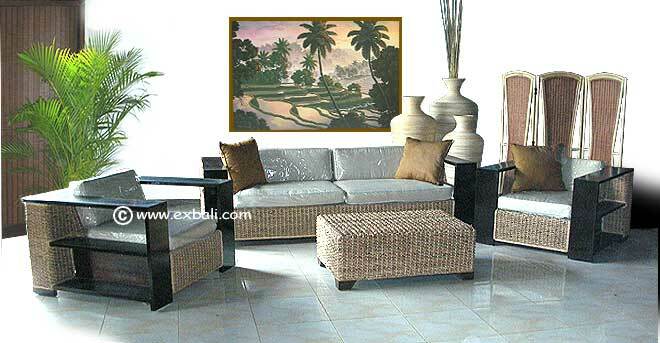 Water Hyacinth and Woven Furniture from the island of Bali. 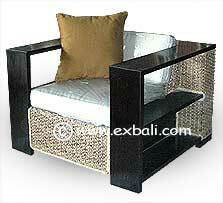 Above design may also be woven in Banana, Sea Grass, Rattan or a mixture of any of the above. Supplied w/ Cushions / Pillows optional.